The dancing is presented by co-host, Boston Swing Central. Boston Swing Central is a non-profit dedicated to the preservation of the Lindy Hop. 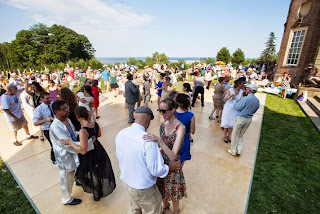 Boston Swing Central supports their mission by running a weekly Friday Night Dances in Cambridge and through community outreach and education. 6-count Swing Dance basics, enough to give you something to do while you're attending the Lawn Party and enjoying the live music! There will be an electric, high energy Charleston Performance followed by a short lesson. Charleston is danced both solo and partnered.